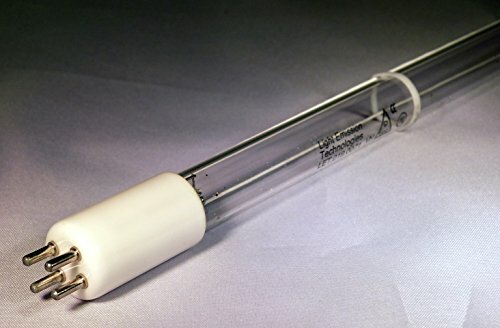 Notices: 1.Replacement Blub of Atlantic Ultraviolet 05-1343-R,compatible with Mighty-Pure MP36A MP36B MP36C Sanitron S37A S37B S37C Crystal Clear CMP36 CUV15 CUV15E CUV24E Water Sterilizer. 2.NEVER look directly at an illuminated UV lamp for a long time,please using protective gear if you have.NEVER illuminate UV lamp outside of the UV chamber for a long time. 3.We do not sell Mighty-Pure/Sanitron brand lamps. All Mighty-Pure/Sanitron brand names, trademarks and logos are property of Mighty-Pure/Sanitron. Details of Our Lamp: Length: 33 inch(843mm),T5 Quartz Sleeve,Diameter: 0.6 inch(17mm). Input Current: 425mA, Lamp Voltage: 120V. Lamp Wattage: 40 Watts,Base Type: Single Pin (1pin on EACH END). Rated Life: 10,000 hours with enough UV intensity. 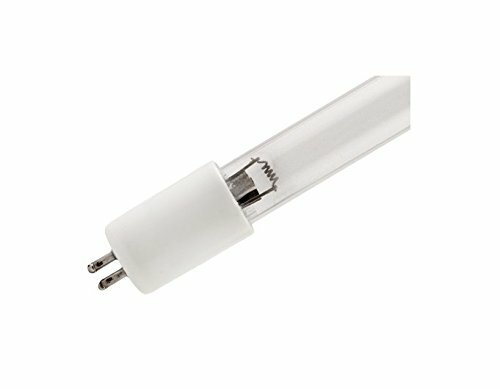 Brand: LSE Lighting Base Type: Bi-Pin (2pins on Each End) Length: 17.5"; Bulb Type: Ultraviolet UVC This UV replacement lamp by (LSE Lighting Brand) is fully compatible for use with Atlantic Ultraviolet 05-1097-R MP22 MP22A S23 S23A Water Treatment Sterilizer Filter. All lamps listed are compatible brand (LSE Lighting) UV products. We do not sell Atlantic Ultraviolet brand lamps. All Atlantic Ultraviolet brand names, trademarks and logos are property of Atlantic Ultraviolet. 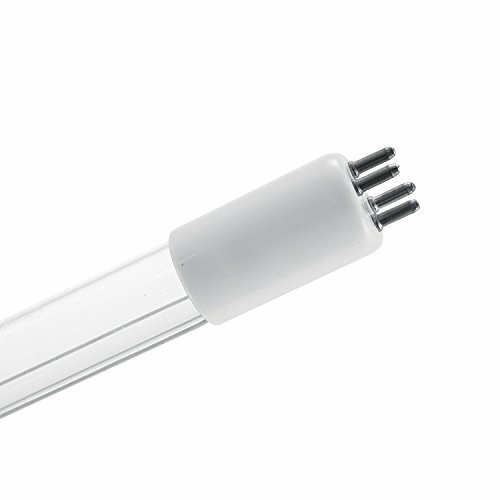 Brand: LSE Lighting® Bulb Type: Ultraviolet Germicidal UVC 254nm Base Type: Single Ended 4pin Base (4pins on ONE END) This UV replacement lamp by (LSE Lighting) brand is 100% compatible for use with Atlantic Ultraviolet Sterilizers which require which require 05-0097AR lamp. All lamps listed are compatible brand (LSE Lighting) UV products. We do not sell Atlantic Ultraviolet brand lamps. All Atlantic Ultraviolet brand names, trademarks and logos are property of Atlantic Ultraviolet respectfully. Warning: Ultraviolet Germicidal UVC light is harmful and dangerous to your eyes and skin. Please Use safety gear during installation. This is a brand-new germicidal lamp used in various models of water purifiers by Atlantic Ultraviolet. It produces UV-C light at 254nm to kill or deactivate bacteria and other micro-organisms, and is 100% compatible with the OEM lamp. 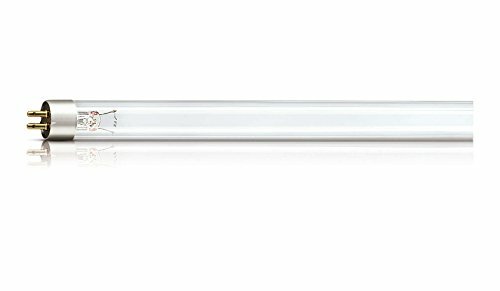 Brand: LSE Lighting® Base: Bi-Pin (2pins on Each End) - Length Approx: 31" 793mm Wattage: 41W - Voltage: 120V 50/60Hz - Super Life Rating: 12,000hrs This UV replacement bulb by (LSE Lighting®) brand is 100% compatible for use with Atlantic Ultraviolet MP36. All UV Lamps listed are compatible (LSE Lighting® brand products). We do not sell Atlantic Ultraviolet brand lamps. All Atlantic Ultraviolet brand names, trademarks and logos are property of Atlantic Ultraviolet. 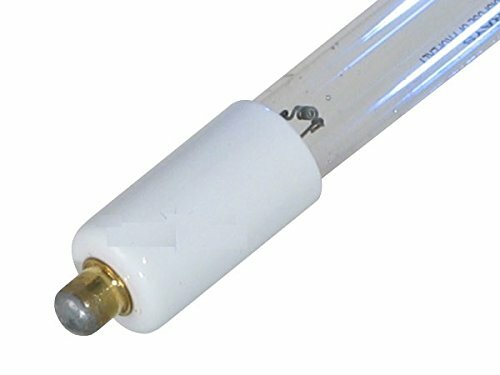 Notices: 1.Replacement Blub of Mighty-Pure/Sanitron UV 8W UV Lamp,compatible with Atlantic Ultraviolet Mighty-Pure MP16,MP16A Sanitron S17,S17A. 2.NEVER look directly at an illuminated UV lamp for a long time,please using protective gear if you have.NEVER illuminate UV lamp outside of the UV chamber for a long time. 3.We do not sell Atlantic Ultraviolet&Sanitron brand lamps. All Atlantic Ultraviolet&Sanitron brand names, trademarks and logos are property of Atlantic Ultraviolet&Sanitron. Details of Our Lamp: Length: 11 1/2" inch(288mm),T5 Lamp Quartz,Diameter: 0.6 inch(15mm). Input Current: 350mA, Lamp Voltage: 54V. Lamp Wattage: 16 Watts,Base Style: Bi-Pin G5, Base Material: Ceramic Rated Life: 10,000 hours with enough UV intensity. 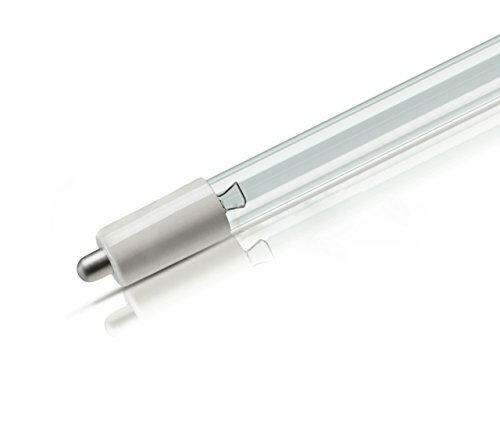 Looking for more Atlantic Uv Lamp similar ideas? Try to explore these searches: Phonics Songs Short, Ear Noise Cancelling Headset, and Glass Copper Hummingbird Feeder. Look at latest related video about Atlantic Uv Lamp. Shopwizion.com is the smartest way for online shopping: compare prices of leading online shops for best deals around the web. Don't miss TOP Atlantic Uv Lamp deals, updated daily.